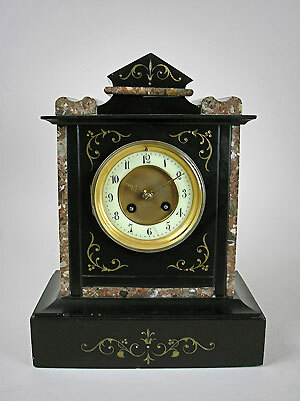 This is a French slate and marble mantel clock by Martie with eight-day gong-striking movement. The clock has an enamel Arabic chapter ring with gilt fleur de lys hands and a brass bezel with bevelled glass. 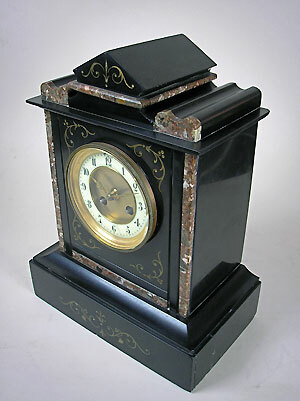 The engravings at the front are gold-inlaid.